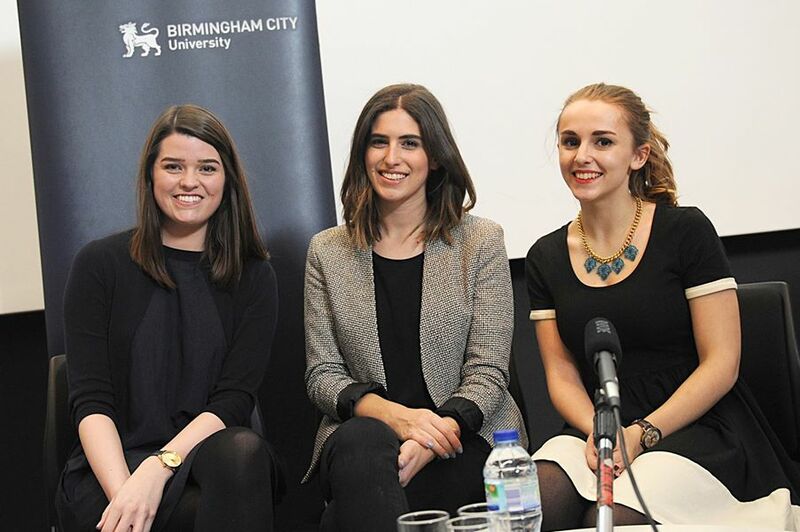 The highlight of this week’s Rethink Media conference in Birmingham was undoubtedly the panel on YouTube, chaired by Hannah Witton with Anna Gardner and Lily Pebbles. It was very much in the YouTube genre: a breezy and chatty affair which managed to sneak in mentions of MCNs and CPMs alongside references to the importance of being unique and personal. @paulbradshaw I like that the panellists shift from jargon to the quality of each other's skin. This entry was posted in online journalism, online video, youtube and tagged Anna Gardner, Hannah Witton, Lily Pebbles, playlist, tips, ViviannaDoesMakeup, youtube, youtubers on March 20, 2015 by Paul Bradshaw.